You are thinking that these look like Christmas lights, right? You are correct. 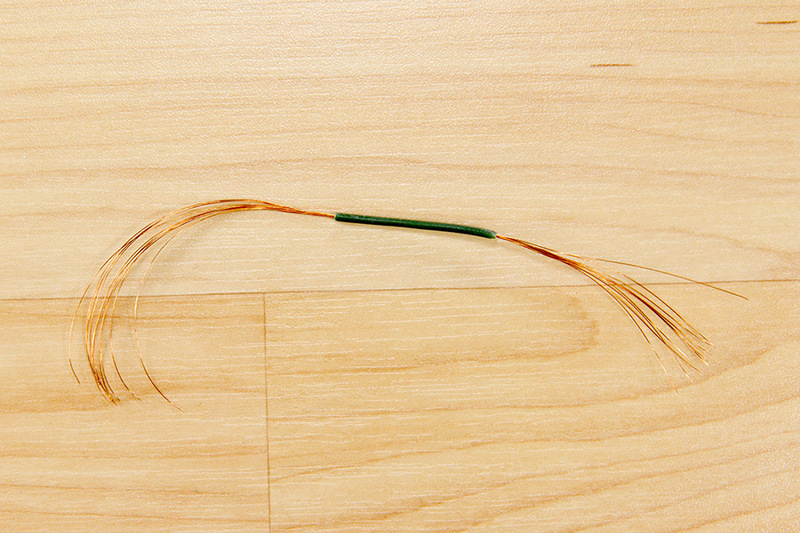 If you are like me, every couple years a strand or two get tossed out. Doesn’t work, wrong colors, Wife’s tastes have moved on- – whatever the reason. Well, I love this wire for copper ribbing. It is free, easier to use than a spool, nice and small for ribbing those tiny nymphs, and copper is a great color on flies. You can use it instead of gold wire on Hare’s Ears or other patterns. So this is what I do. 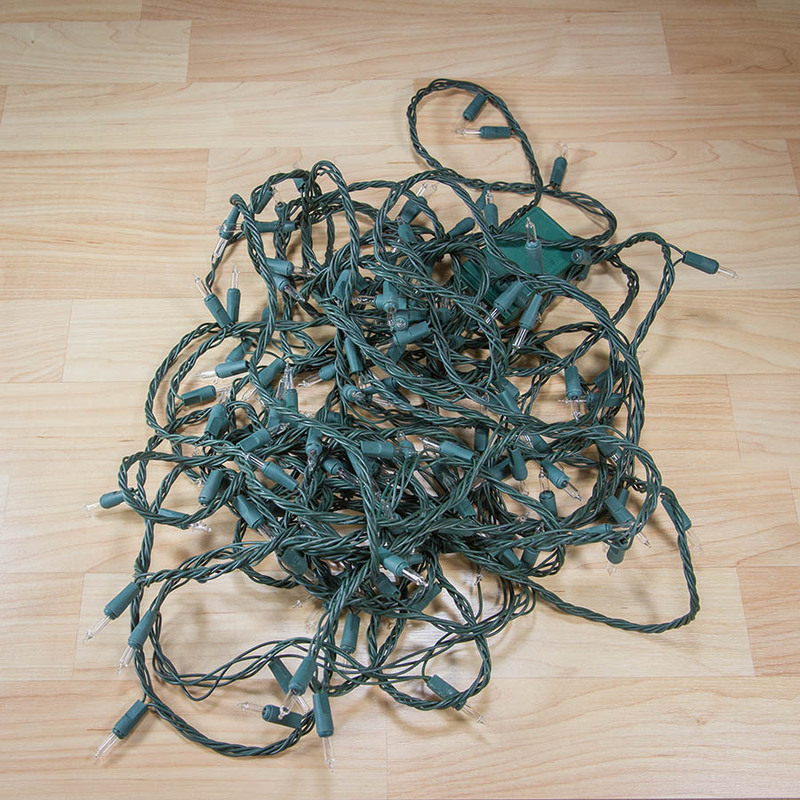 When I need copper wire, I dig out this jumble of lights that I have stashed in a bottom drawer of my tying boxes. 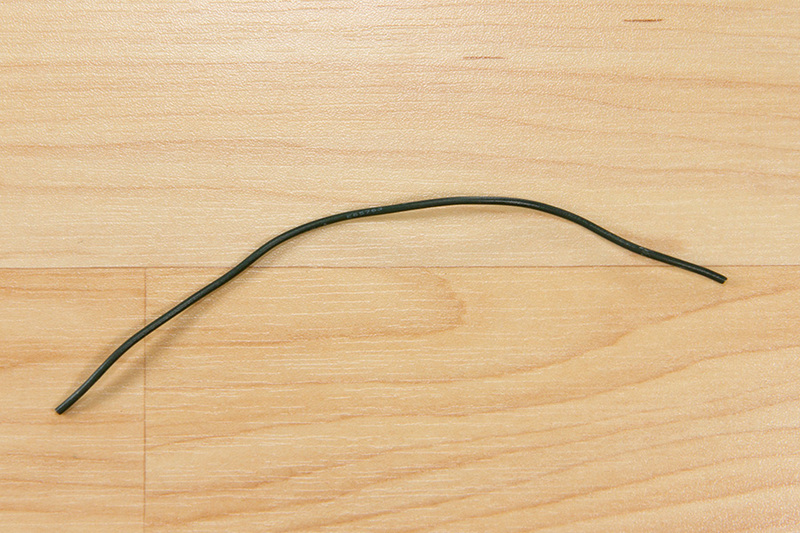 Then I trim off about 6 pieces of wire around 6 inches long. I grab a pair of electrical pliers and strip both ends. I throw one on top of my bench and the others in a drawer. I’m good for a few months. Couldn’t be easier. And I love the wire. Fine diameter that wraps super. Below you can see the trimmed and stripped sections. Try this next Christmas!